In the kit you will find four dyes to create blues, turquoises, greens, pinks and purples as well as a mordant (fixative for natural dyes).Full instructions included. 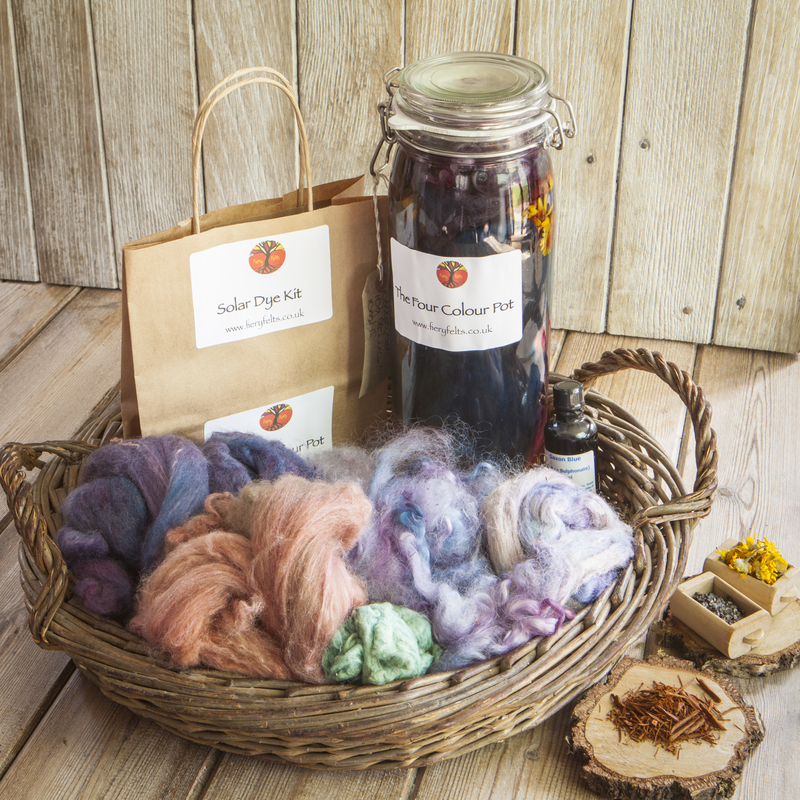 The kit contains cochineal so If you are a vegetarian and don’t want to use cochineal which is derived from a beetle please say so in the note section when ordering and ask for madder which will give oranges and pinks, or even red in a hard water area. the Kit also contains Saxon Blue is a dye made from indigo. which I make it carefully from high quality natural indigo in my own North Wales studio. This dye is acidic so not suitable for children under fourteen. Please follow instructions carefully as well as wearing gloves to avoid staining. Please note that colours may vary slightly depending on water used. This kit is not suitable for children under the age of 14. Between 50g and 100g of Wool fibres, or yarns.